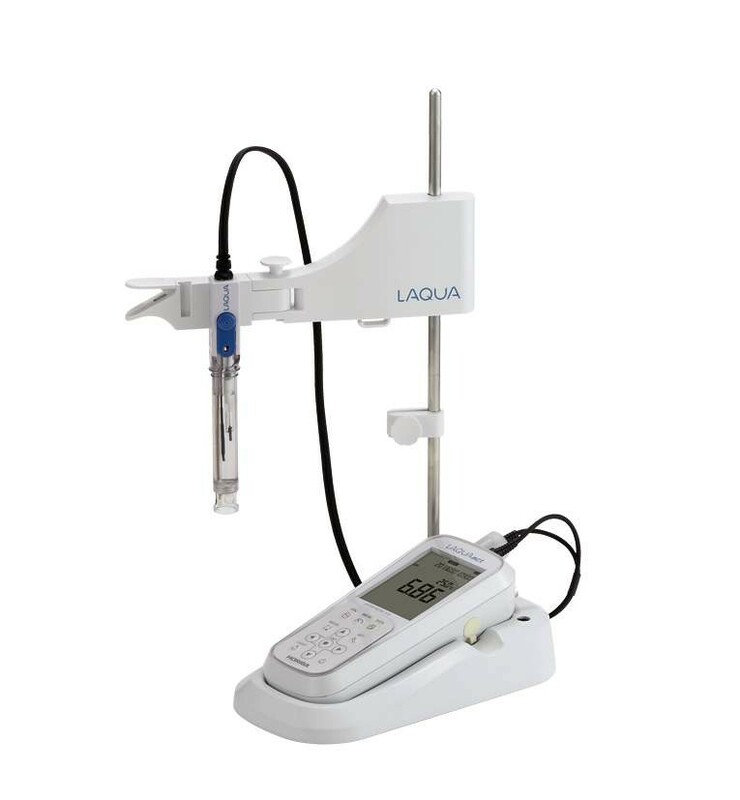 LAQUAact portable meters are perfectly in use in outdoors environments, but also very suitable as a meter in the laboratory. For this purpose is this laboratory stand DP-70S available for holding the sensor so you have your hands free for measuring on a bench or table. This laboratory stand DP-70S is developed for the use of LAQUAact portable meters series D-70, ES-70 en OM-70 in laboratory conditions. The stand holds the sensor for measuring your probes and allows you to have your hands free for other activities regarding the measurement. With this stand you can do measurments on the bench or table with the portable LAQUAact meters, without losing the ability to make measurements in the field with the meters too.